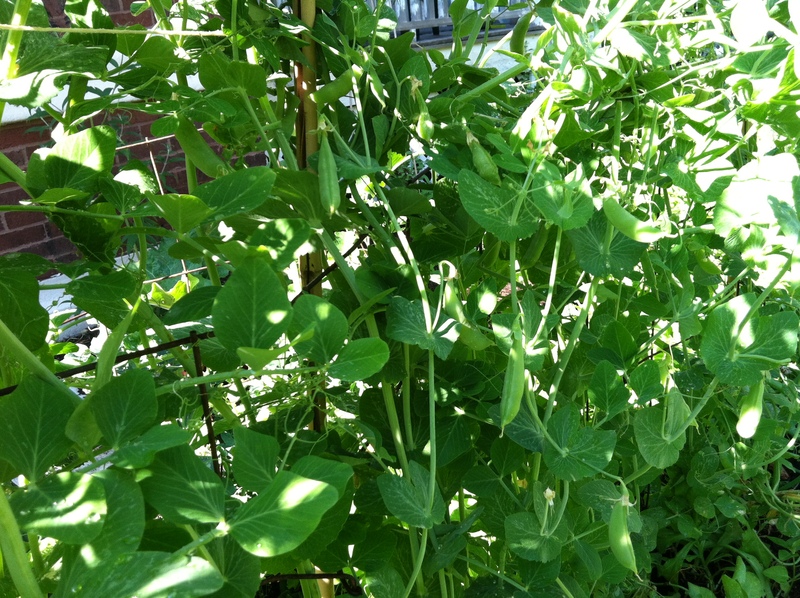 The New York Times ran a blog commentary Saturday If Peas Can Talk, Should We Eat Them? about new research showing that, when suffering drought conditions, peas send out a biochemical message through their roots to other plants about adverse growing conditions that causes the other plants to adapt their growing to the peas’ message. The article raises ethical considerations — perhaps facetiously – whether the “responsiveness of plants, their interactions with the environment and with one another, are sufficient to undermine all simple, axiomatic solutions to eating in good conscience. . . This means that the recipients of biochemical communication could draw on their ‘memories’ — information stored at the cellular level — to activate appropriate defenses and adaptive responses when the need arose. 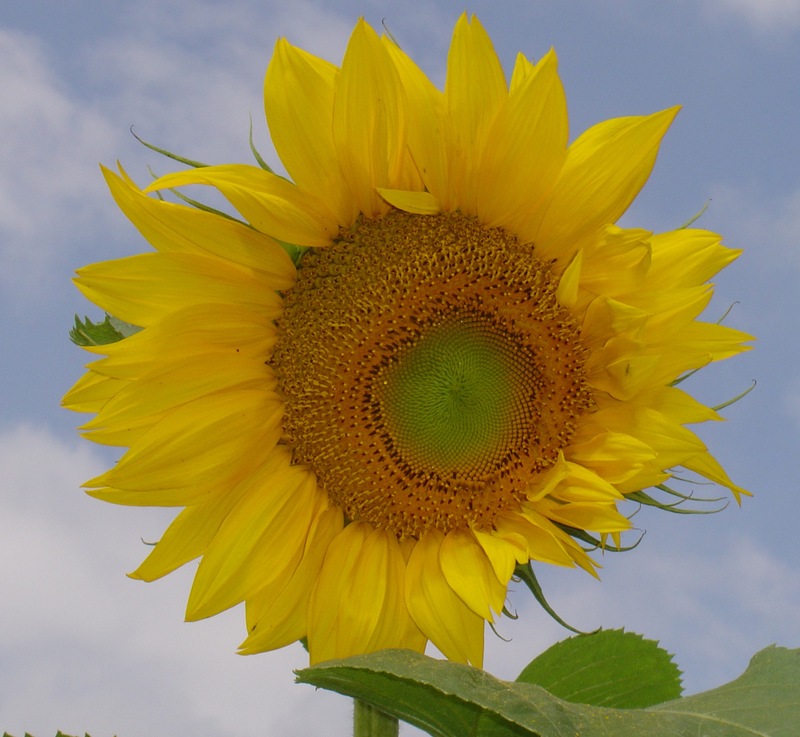 Plants are more complex organisms than previously thought “. I think there’s more to the common pea’s communication skills that makes the biochemical intelligence even more clever and lays aside any ethical dilemma of eating talking peas. Why wouldn’t plants be acting on one another, getting other plants to do for them in the garden too? Peas suffering a drought are unlikely to altruistically inform other plants of poor growing conditions. 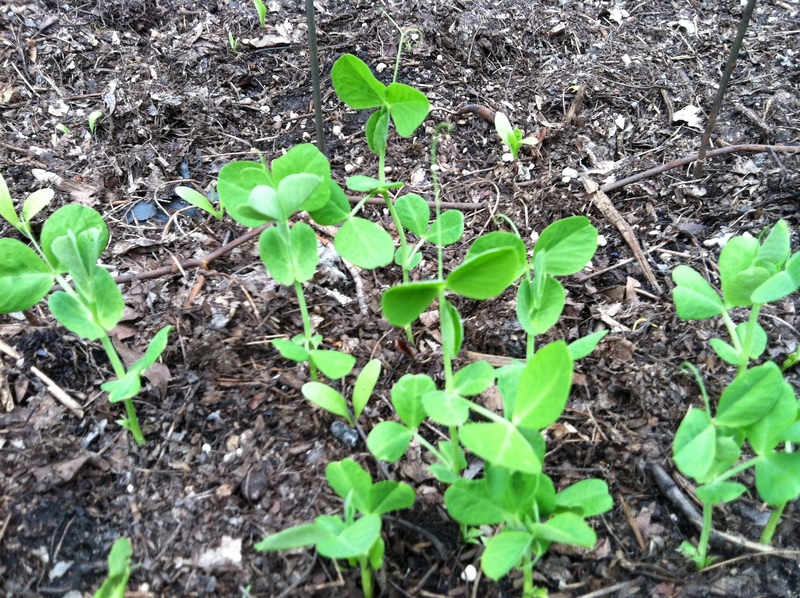 Rather peas are communicating so other plants hunker down too, absorbing less moisture in the soil and leaving more of a scarce resource for the peas. That’s the best way peas can generate more copies of themselves. And our consumption of fresh, spring peas? Like Pollan, I think it’s part of the wise pea’s plan too. 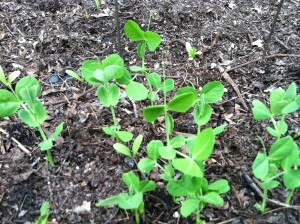 This entry was posted in backyard microclimate, ecosystem, snap & snow peas. Bookmark the permalink.